The sweet scented hand cream is enriched Shea butter and macadamia nut oil. The softly scented lotion has notes of lavender, bee blossom honey, white orchids, violet and Indian Amber. The hand cream absorbed quickly and it left my hands feeling smooth and soft. 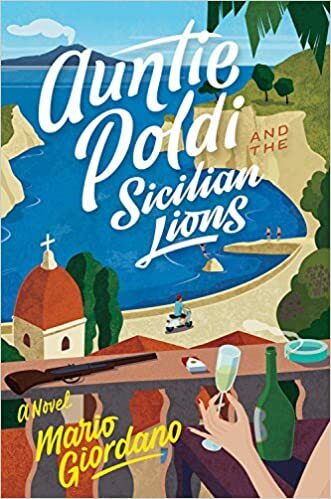 Aunt Poldi decides to retire to Sicily on her sixtieth birthday after dealing with her fair share of pain and heartbreak. She wanted to relax the day few remaining days by drinking herself into a stupor while enjoying the view of the sea. However, life never goes as one expects it to. When a friend and handyman goes missing and is eventually discovered murdered; Poldi takes matters in her own hands and try to solve the murder. After asking one too many questions, she finds herself stuck in the middle of the murder investigation. Will Poldi be able to figure out who the real murderer is? I have read a many books that were written in a different language and then translated into English for US consumption. There a very few books translated books I find enjoyable because you miss maybe of the hidden meanings that are sometimes lost during translations and sometimes the jokes do not make much sense. I also found the amount of details a bit overwhelming and detract from the story. Along with their being a lot of chance coincidences and not any investigation really done from Poldi. I also don't understand why she rushes into things and then screams for "help" or thinks she is dying. It was an interesting novel but not one I would re-read again. The fresh scented candle is enriched with of Anjou pear and wasabi. It was an unexpected combo, but it was quite refreshing. I can definitely see this candle to be used for a relaxing weekend with a book or during a "Treat Yo'self" Sunday treatment. The heartbreaking novel is narrated by "Destiny" who tells the story of a family who lives in the war torn Syria. Tareq is surrounded by his big close knitted family. He is surrounded by people who love and care about him. Unfortunately, that all changes when a bomb hits his neighborhood causing his family to suffer a few casualties. Tareq and his family that survived must leave Syria, if they hope to remain alive. Their journey to "freedom", is one filled with violence and heartbreak, but also of love and hope. Will Tareq be able to escape with his family? The tear provoking novel is so beautifully written that it allowed readers to be transported to the hellish experience Tareq and his fellow refugees endured. It is hard to read this novel and not be sympathetic to the plight refugees face, but also hopeful when they manage to make it. For young readers, this book offers the perfect gateway for having conversations about volunteering, being sympathetic to your fellow humans and also not to lose hope when you feel like all the cards are stacked against you. An emotionally charged novel with an interesting concept with part of the narration being told by "Destiny". I look forward to reading other books by the author! About the author: An award-winning author and journalist--and a refugee herself--Atia Abawi captures the hope that spurs people forward against all odds and the love that makes that hope grow. 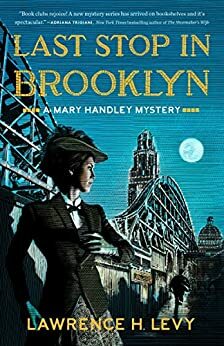 It was the summer of 1894, and private investigator Mary Handley is bought at the far corner of Coney Island for what seemingly seems like an open and close infidelity case. While on the case, Mary is contacted by a convicted man's brother to reopen a murder case. A prostitute was killed in the same style as "the Jack the Ripper" in her hotel room with shoddy evidence pointing to the convicted man. Thomas Byrnes, the head of detectives in NYC is sure he has the correct man. After all, he made proclamation of finding the killer in 36 hours and Detective Byrnes always gets the culprit. The deeper Mary digs the deeper she realizes the web of deception is. Will Mary be able to find the true killer before it is too late? I was drawn to this book because I live fairly close to Coney Island. I actually have a lot of fun childhood memories of eating cotton candy and greasy pizza while being embraced by the salty air. I was a bit disappointed that there wasn't much interesting facts about Coney Island as there was about the people who were in this book. The author did focus a lot of the racial tension and discrimination that took place during that time period, but if felt like that was more common knowledge and didn't have to keep being repeated. I found Mary and Harper enjoyably at times, but sometimes their barbs and conversations got annoying increasingly faster. However, it was an enjoyable read and I do look forward to reading other novels by the author. Ah, my love and hate relationship with Memebox. Their prices are very affordable but when they have their Memebox boxes, it’s hard to find any product information. I have tried Urban Dollkiss’s products before and wasn’t crazy over them. This mask is enriched with honey extracts to leave skin feeling smooth and soft. The mask fit decently well and the serum was very drippy. My face felt smooth and soft but the results felt a bit underwhelming. I have used Nivea products in the past few years but, I believe this was the first time I have tried this product. I read that it got so many good reviews, I figured I would give it a shot since I have terrible dry skin. The light formula is enriched with Vitamin E and Jojoba Oil to promote soft, smooth and supple skin. While the creme promises to be fast absorbing, I felt that my skin was still a bit greasy afterwards albeit moisturized though.